As a church family, we support a variety of local, national and global missions recognizing that all people are our neighbors. Join with the team as we serve a delicious and free meal on the third Saturday of every month from 4:30 to 7:00 p.m. Help with shopping, preparations, serving, clean up, publicity or fundraising. Share your gifts as we share food and fellowship with the community. This ministry is a partnership with members of First UMC, Barrington UMC, Communidad Cristiana, and local businesses; we serve from the Trinity UMC fellowship hall, 1647 Ravine Lane, Carpentersville which is accessible. ChildServ is a United Methodist Agency in Chicago which traces its roots to the religious and social settlement movements. Since 1894, their mission has been “to help at-risk children and their families to build, achieve and sustain better lives.” We participate in their Backpack drive to help ensure that the children have school supplies and in their Christmas gift program which provides each child with an appropriate gift and clothing. FISH Food Pantry in Carpentersville feeds about 550 families each month. They are open Monday, Wednesday and Friday mornings and Wednesday evenings. Monetary donations are used to buy food at a deep discount from the Northern Illinois Food Bank. Diapers and hygiene items that are not available from the Food Bank are donated by the community as are fresh vegetables from gardens, groceries and holiday meats such as turkeys and hams. FUMCWD has a collection bin in the hallway outside the church office. Checks can be made out to First UMC or Trinity UMC with Food Pantry in the memo line. Public Action to Deliver Shelter (PADS) of Elgin, Inc. provides safe shelter, support services and advocacy to homeless individuals in Dundee, Elgin and Hanover Townships. First UMC of West Dundee prepares lunches for the guests after worship on the first Sunday of every month. For more information on how you can help contact Marcia Buchs at mkbuchs@sbcglobal.net sign up on the Missions Board or visit the kitchen immediately after worship on the first Sunday. Founded in 1975, the Community Crisis Center services offers a 24 hour crisis hotline and information and referral; emergency temporary shelter for 40 women and children who are homeless due to domestic violence or financial crisis; individual and group counseling; medical, legal and welfare advocacy; financial assistance to abate homelessness; emergency food pantry; a batterers’ intervention program; a transitional living program; a distinct children’s program; and community education. The Community Crisis Center service area includes northern Kane County from St. Charles to the northern edge of the county and far northwest suburban Cook County; there are no service area limits for domestic violence victims. First UMC saves various labels to support Red Bird School through the Labels for Education program. These include Box tops for Education, Coke Points, Tyson Points, Kellogg Points and more. 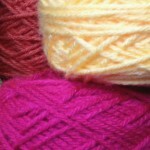 The Yarn Ministry meets on the second Tuesday of each month at 5 pm in the Library. We make over 150 items a year — prayer shawls, blankets, hats, scarf and mitten sets, baby booties and hats, and more. Contributions of yarn are welcomed in the box outside the church office. Please give your pocket change to this weekly offering for hunger ministries including: FISH Food Pantry, CROP Walk, and Feed My Starving Children. UMCOR is a ministry of The United Methodist Church through the General Board of Global Ministries and our goal is to assist the most vulnerable persons affected by crisis or chronic need without regard to their race, religion, gender, or sexual orientation. We believe all people have God – given worth and dignity. UMCOR’S work reaches people in more than 80 countries, including the United States. We provide humanitarian relief when war, conflict, or natural disaster disrupts life to such an extent that communities are unable to recover on their own. While UMCOR cooperates with other aid organizations to extend our reach, our most important partners are the people we serve. We are confident that successful solutions to emergency or chronic conditions begin with the affected population. UMCOR provides these survivors not only temporary relief but long – term education, training, and support.